I felt fortunate and grateful that the Yoga school had many workshops and seminars, with a vast array of Masters or ‘Gurus’ (as some preferred to be known), who shared their experiences and knowledge. It was great learning from some wonderful, humble Yogis who had embodied the true essence of Yoga, many of whom were well known and respected in that field, like Mr B.K.S. Iyengar. I realised that not all of the Masters were like this however, and some would put themselves on a pedestal and literally look down on you - very egotistical! I went on to learn and experience from many Yoga teachers, each with their own style and each with different things to give. I studied the subject widely together with Laughter Therapy and Chinese Philosophy, and embraced the very essence of Holistic Health. These studies led me onto a course in Chinese Health, which included an introduction to Tai Chi. I followed this with 5 years of training from Michael Baker, an instructor who had been taught in China by a Tai Chi Master. The last 2 years of the course were more intensive and formed my teacher training. I attended workshops on Tai Chi and Qigong and became just as passionate about them as I was with Yoga. The key thing for me was ‘Energy’, feeling it moving within me whenever I practised Tai Chi, Qigong or Yoga. My husband and I decided to move to Cyprus and I wondered how I could spend my time there. Soon after arrival, I met Nafsika, a wonderful Yoga teacher who inspired me. She was instrumental in me taking the plunge towards teaching and I immediately embarked on a British Yoga course. I was rewarded with a Yoga teaching qualification some months later. I tentatively spread the word that I was now a qualified Yoga teacher, and in a short space of time I had gained a regular attendance of people from all walks of life and of varying ages and abilities. I wanted to continue Tai Chi and Qigong and attended classes run by Mei and Jun, two lovely Chinese ladies, to continue my learning. I discovered that one of the Qigong forms was the same one I practised and also the Tai Chi form I had been learning from a DVD was the very same one they were practising!! (There are many different forms). I subsequently introduced Qigong into my Yoga classes and now it stands as a class on its own. 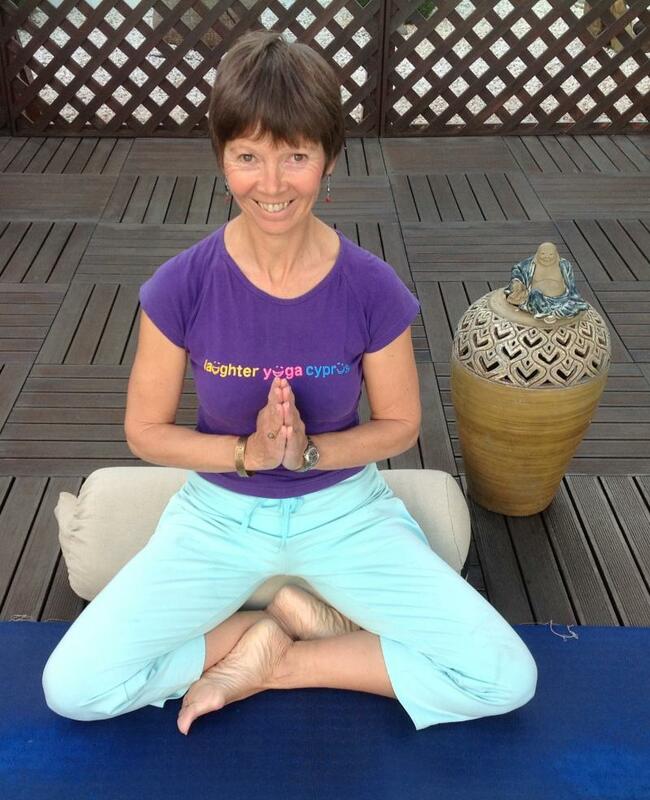 Elina of Laughter Yoga Cyprus came into my life during a Retreat we were attending, I placed my yoga mat next to her and we had an instant connection. Later we were at another Retreat where she presented a Laughter Yoga workshop and I presented Hatha Yoga. Subsequently, I took Elina’s Laughter Yoga course and became a Certified Laughter Yoga Leader. Up to this point, I found teaching Yoga and Qigong very fulfilling, not only teaching students but also learning from them (I believe we are all ‘students’ and ‘teachers’). However, I felt that I was seeking something more in life! Something I knew was out there that resonated within me. Something that integrated with my everyday life and my classes, which would bring me to a greater understanding of myself and a greater connection to everyone around me. I found it when I listened to Joshua Bloom, talking about Quantum Energy Transformation. I immediately resonated with him and decided to take his Practitioner Certification Course. It has transformed my life and others around me. We practise Qigong and Yoga whilst ‘Being Quantum’ and some of us who have been practising for years are feeling the enhanced movement of Energy which has taken us on to a higher level of healing. Copyright 2012 Mind Body Focus. All rights reserved.